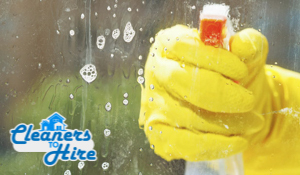 Spring Cleaning is a tough job and this is Cleaners to Hire comes to the rescue. Our licensed professional teams are going to come to your place in the day and time that you want them to and tackle the job with professionalism and care that are unmatched by any other contractor in the industry. If you have any specific needs just tell us. Our experts are going to tailor an individual plan for your project that covers all the basis and exceed the expectations that you might be having about the quality of the service that you are going to receive from our company. 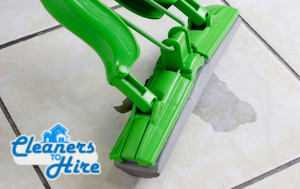 Specialists suggest that you should do deep thorough cleaning of your property at least two times a year. Thus you ensure that your home remains more or less a clutter and rubbish free zone. Allergens and other dangerous elements are kept away from your rooms and last but not least, after the service your home becomes noticeably easier to maintain tidy for a considerable period of time. The other thing that you should have in mind is the fact that at our company, we have the cleaners who are going to handle the job in the best possible manner. They operate with state of the art equipment, on a flexible schedule and they are very motivated to excel at the tasks they have been hired for. The most important thing is that we are going to handle the job at a time that is going to be fit to your own schedule. Thanks to the efficiency of the service that we offer to your attention, we would be able to complete any job in no more than a day. All in all, our home sanitation service is cheap, efficient and does not waste time, energy or money. Feel free to get in touch with our polite and helpful professional customer support. Available around the clock over the phone and via email, our experts are ready to assist you with making a reservation, to answer all your questions and of course tailor a free no obligation quote for the full price of your upcoming Spring cleaning. Things become much easier when you have us by your side, so just pick up the phone and leave it to us to manage the details, we have availability anywhere in London.